Merry Christmas, Happy Holidays, Happy New Year, all that good stuff!! :) Please make sure to read the *** section concerning release date below - it's important! Sink Your Teeth Into December! 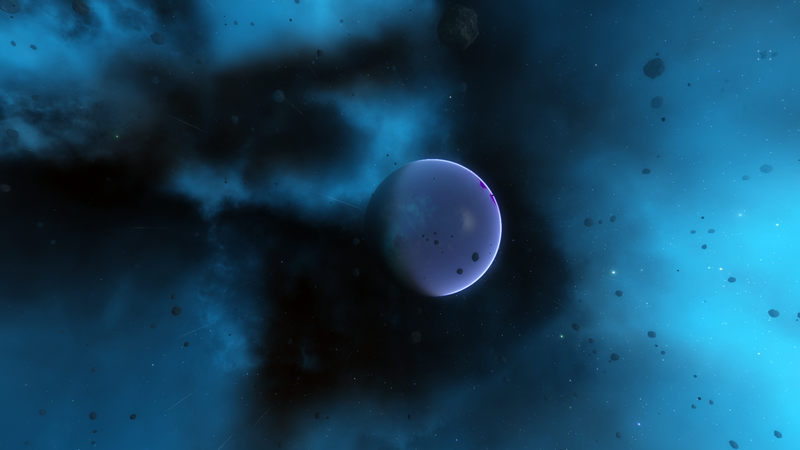 HDR nebula generation / rendering, new metal, new motion effects, and significantly-improved dynamic lighting make December's iteration of Limit Theory by far the most visually-appealing ever. 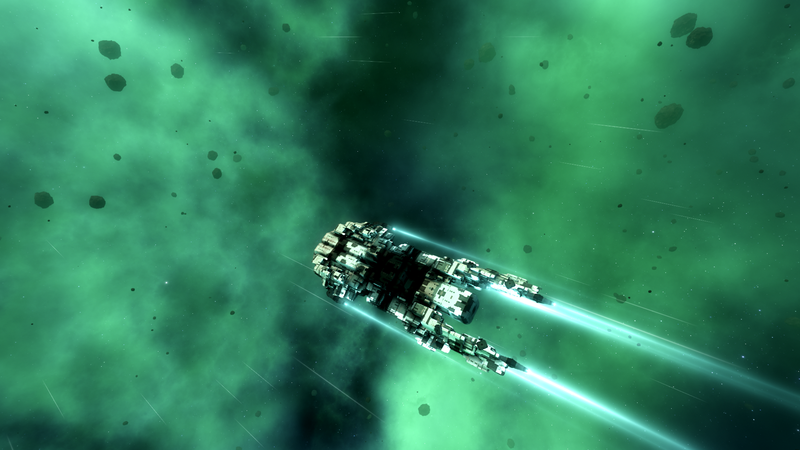 At this point, LT is truly the vibrant, atmospheric universe that I always wanted from a space game. I don't suppose the graphics engine will ever be 100% complete, but I'd certainly be proud of it if released in this state! With 3D, holographic models now an integral part of the nodal interface, your interactions with the LT universe have never looked so smooth. But the graphics are only an appetizer to the main course: underneath the hood, a set of powerful new features including window-splitting, node dragging, categorical filtering, and searching promises to provide more control than ever before over your game. A game of great depth demands an interface of greater simplicity. In that regard, I have high hopes for our nodal UI! The very last few days of the month saw the final and perhaps most pivotal component of the LT AI fall into place: delegation. With NPCs now grasping the concept of utilizing others (including the player) in their plans, we are about to witness a universe of cooperation, control, conflict, and, most importantly, opportunity. With 2013 finally exhausted, I'm growing a bit anxious about the slated release date of "early 2014." What I'd like to do is move my official estimate to "mid 2014." I honestly feel that an early 2014 release would require cutting corners, and at this point, we've come too far for that kind of thing! I'd rather not construct excuses for you, as the reality is a very simple one: LT is a big project! I sincerely apologize for not meeting the original timeline. For better or for worse, I would sooner compromise on the timeline than on the vision and the features that I promised to you all. 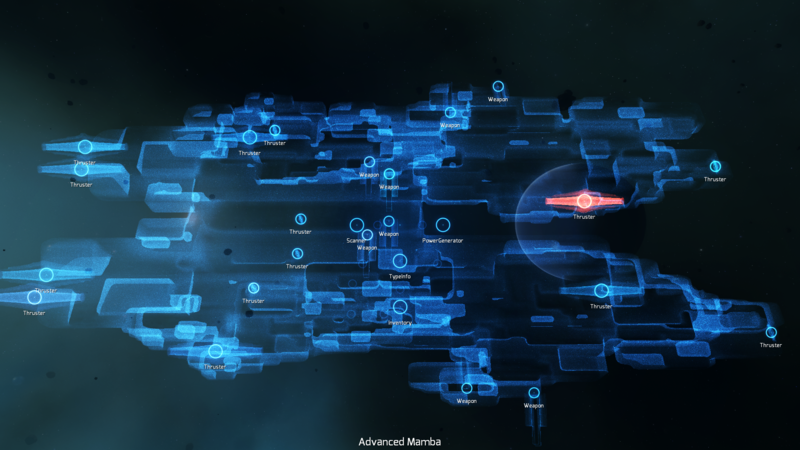 At any rate, I hope you'll believe me when I say that I'm still totally on top of LT and pouring my everything into building this lovely space game, day after day, month after month. You need only take a peek at the dev logs if you're not yet convinced of my sincere love for it and the fierceness of my motivation to deliver! Concerning funding, you needn't worry - there's still more than enough left to sustain development for however long it takes. The money that you all so generously pledged will allow LT to become a reality, and I will, of course, never ask for more. Of that I am certain! I went into December having high expectations. I'll be the first to admit that I would have liked to see an NPC post a contract before a few hours prior to the update video x_x Nonetheless, we came out of it with a heck of a lot to show, and I'm downright ecstatic for what the new year holds, especially in terms of seeing some real fun emerging from the NPCs. AI really kicked my rear for several months there, but, (fingers crossed), that beating is coming to an end! On top of it all, the graphics are plain lovely, and I can easily lose hours these days immersing myself in those fluffy nebulae. But most importantly, we've seen a vision turning from the intangible wind of inspiration into a concrete reality of ones and zeros. Much has been done, and much remains to be done. Of one thing, however, there can be no doubt: each month we come a long, long way...and I see no evidence of that pattern letting up any time soon! Ladies and gentlemen, as the new year rolls on in, I would like to make a New Year's resolution to you. 2014 will dwarf 2013. That is all. Jeff Horton, Brett Camper, and 48 more people like this update. Well, to be honest it says "Estimated delivery: Jan 2014", not "early 2014", but I guess its better to wait, rather than getting unfinished game. I just hope there won't be DNF again. I always prefer a completed game to a rushed project so don't worry about pushing the release date. You've always plenty to show when you update so it's a pleasure to read these. Happy new year! The project is looking better and better every month. You're doing an awesome job, really. After the debacle of X Rebirth release, your decision to postpone release to properly polish is spot on. Don't be afraid of taking such decision. Can't wait to see what 2014 will deliver ! Will PC's be able to leave contracts for NPC's as well? I don't have any problems with the extended development time - I've played games that were rushed, and even though they had great potential, it was never realized. I'll gladly wait for the original vision of the game to become reality. Thank you for the update. I like the reflections from weapon shots on the Station, this helps to immerse in the game. Best wishes for 2014. Take your time and release a product that you are happy with. I am patient and find your regular updates very reassuring. @Josh - I didn't even know about a release date and to be honest I didn't care - I'm enjoying the development as much as any game as of late to be honest. Keep up the good work, and have a happy new year! Great update. Excitement builds up. Window-splitting looks awesome, having a few ideas about that but I guess the forum is better suited for any kind of feedback. Thanks for the update Josh. Interface and game are looking wonderful. And don't worry about release dates to be honest. Take as much time as you need; that's the whole point of KS: is to offer developers like you the opportunity to develop on your own timeframe (within budgets of course) and not rush the game. Take as much time as you need to do Limit Theory justice. I am looking forward to what 2014 has in store for LT. Thanks Josh! Take all the time you need to finish this incredible game! And thanks for your continuous effort!! And happy new year to you and your family!! Happy new year, it's looking great so far! Keep it up Josh, I don't mind waiting. You obviously have put a lot of yourself into the game already, and I don't want to see the rest rushed. Amazing looking so far Josh! I know I dont mind the release being pushed back, and I cant wait to play your finished game! Hey guys I really appreciate the understanding. You all are the best :) I won't let you down!!! I never really expected this to release on time, you're extremely passionate about this project (yay!) so I was expecting something or another to hold you up. Keep up the good work alright? I would rather have a good game released late then an incomplete game released on time. Enjoy watching this project - and hope you will take all the time you need to make a great game... mid 2014? likely it will run on to 2015 at least I would think, judging by other projects. Just hope you can take that much time out of your studies. Didn't expect it to release on schedule anyway :). Awesome update. This may be kind of egoistic but I hope development will take longer than middle of 2014 - since I love the dev logs and will miss them badly. Happy new year Josh (and all)! Yeah - I agree with the others - take your time. Kickstarters running late is pretty much par for the course. Actually I think you spoil us - I am going to start expecting the same level of communications on all the projects I back in the future! Take all the time you need. A mediocre product delivered on time will be remembered as a mediocre product. An awesome product delivered late will ultmately be remembered as an awesome product. As an addicted daily reader of the daily updates, I am truly impressed that the fervor with which you started this project hasn't diminished at all!! Your natural ability with the UI, graphics and the ability to summon an AI out of the ether blows me away. Happy new year and I can't wait to see what the new one brings!!! Enjoy the day off and have a beer - you've earned a hell of a lot more than that. Josh, Happy New Year from an early backer. Each month you astound with your progress. Please take your time and continue to make this the best game it can be. Thanks for your ongoing transparency and dedication. A great year for LT's development and can't wait for mid-2014! Nice progress, Josh. The game looks stunning and the AI front sounds incredibly promising. Take all the time you need, I hate it when stuff gets pushed out the door due to some arbitrary deadline. Happy new year! Take care! Happy New Year! It's already 2014 where I am (New Zealand) and this update was great to wake up to. Fantastic work Josh. Be proud of what you have achieved so far. A lovely surprise, Josh -- 40 minutes to 2014 where I live! Thank you for all your hard work and -- as always -- impossibly frequent community interaction this year. totally happy with a mid 2014, that will give me plenty of time to get Elite Dangerous out of my system. your doing a dam fine job, and happy new year. Take your time, and build the thing you want to build. We'll all be here when you are done. You've done an amazing job of keeping us in the loop and I for one have no problem with you pushing back the release date to make sure you release something you are happy with. Mid 2014 suits me just fine!! Keep at it Josh!! Don't worry about pushing the release date back, that's fine. If it comes down to cutting corners or delaying the release by a few months, I'm sure everyone would rather you do the latter. Happy New Year Josh ...now get started partying.